Teamac Antifouling D discourages the growth of barnacles, weed, and other water life on the submersed hull of your boat. 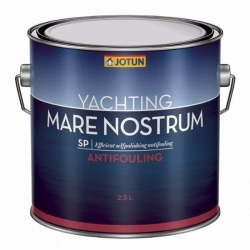 Contains a high level of cuprous oxide and a blend of biocides to give good antifouling performance on yachts and boats in speeds ranging from 25-30 knots. 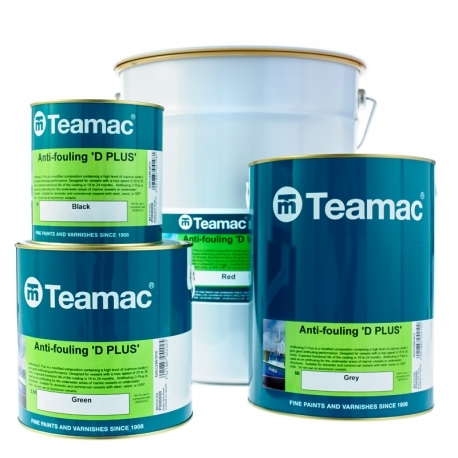 Teamac Antifouling D is a physically ablative antifoul that offers excellent performance and protection. 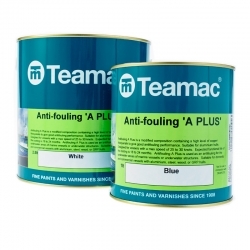 This has a softer film than Teamac Tropical Killa Antifouling but offers superior performance. Contains a mixture of materials which form a complex matrix that wears away at controlled speed. 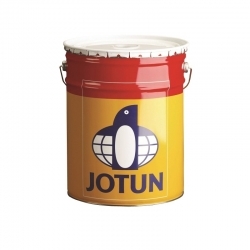 Designed for vessels with a maximum speed of 25-30 knots. 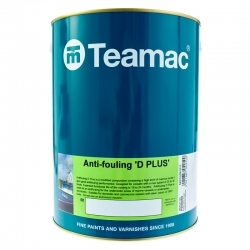 Teamac Antifouling D contains a high level of cuprous oxide and a blend of biocides to give good antifouling performance on yachts and boats in speeds ranging from 25-30 knots. 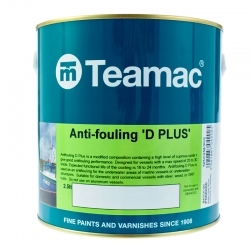 Teamac Antifouling D is a physically ablative antifouling containing a fully approved blend of biocides, offering excellent antifouling performance on boats and is suitable for domestic and commercial vessels with steel, wood, or GRP hulls. Teamac Antifouling D discourages the growth of barnacles, weed, and other water life on the submersed hull of your boat. If you plan on keeping your boat afloat in sea water, you will need to apply a new coat of antifouling paint at least every 12-18 months to prevent excessive build-up of marine growth such as weed and barnacles. Applying antifoul paints is easy, even for people who rarely use a paint-brush. Doing it yourself can save a lot of money, and also gives you the chance to get up close and personal with your boat to have a close look at the condition of the hull. 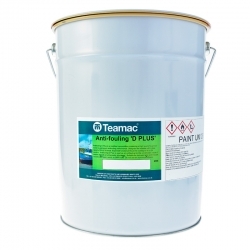 For metal and wood, make sure to prime surfaces with 2 coats of Teamac Metaclor Underwater CR Primer. If the surface is GRP this step is not required. Cleaning can be accomplished with Teamac Thinner 17. 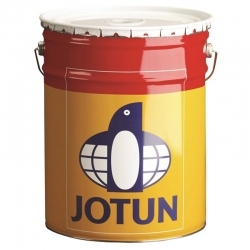 Jotun SeaQuantum Ultra is a one component state of the art chemically hydrolysing silyl acrylate antifouling coating. 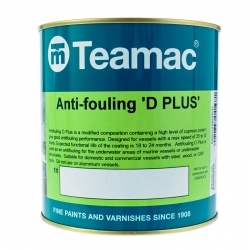 It provides excellent fouling protection and incomparable hull performance. This is achieved through highly predictable and stable self polishing characteristics reducing hull deterioration, friction and speed loss.